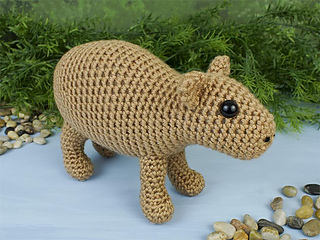 An original crochet amigurumi Capybara pattern by June Gilbank. 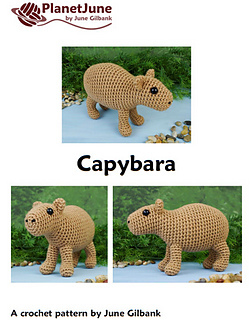 The Capybara is the largest rodent in the world, and can reach up to 150lbs in weight. 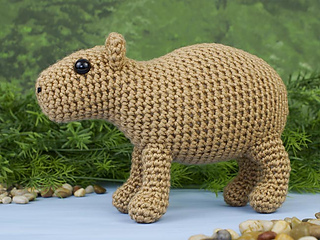 Its closest relative is the guinea pig. 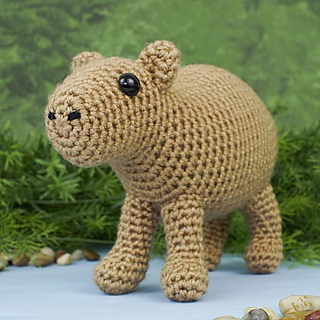 Capybara are semiaquatic herbivores from South America and live in environments that include both forest and rivers, lakes or swamps. They have slightly webbed feet, and eat, swim and even sleep partially submerged in water!